Newfoundland business leader Glen McKay has four decades of experience primarily in the province’s growing mining sector, but also in construction and private equity. After beginning his career as a deckhand in the Newfoundland fisheries, McKay joined Minpaco as a branch manager, which led him to create a specialized equipment company in 1978. As the president and founder of MRO Supplies, Glen McKay grew the company for over 10 years. He continued as an entrepreneur, in 1985 founding Newfoundland Hard-Rok Inc., an explosives manufacturer providing drilling and blasting services to the mining industry. 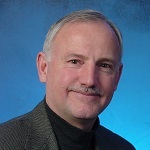 McKay is the chair of Newfoundland Hard-Rok’s board of directors and on a day-to-day basis, manages the firm’s finances. He is also the founder of private equity firm Sealan Capital and construction company Apex Construction Specialties (which was sold in 2017). McKay co-founded Cornerstone Capital, a mining firm best known for the Cascabel gold and copper project in Ecuador. Q: Glen, you’ve been involved in Newfoundland’s mining business for many years. How has it changed since you founded Newfoundland Hard-Rok Inc. and what do you think is in store for the industry going forward? A: When I first started in explosives supply business, and then later manufacturing and drilling and blasting services for the mining and heavy construction industry, the business was mostly serviced directly by wholly-owned subsidiaries of large foreign companies like DuPont and CIL. I was appointed as Newfoundland distributor for DuPont Explosives in 1985 and then incorporated Newfoundland Hard-Rok in 1987. Since then, the business has seen strong growth as an integral part of Newfoundland’s burgeoning mining and other resource-based industry. Newfoundland Hard-Rok has grown aggressively over the years, notably forming a wholly owned subsidiary, Dyno Nobel Labrador Inc in 2004, a company that signed a deal with then mining giant INCO to design, build and operate a bulk emulsion manufacturing plant for its open pit mine and recently signed a deal with the current owner, mining giant VALE, to expand the plant and provide all equipment to service the explosives needs for the underground mining at Voisey’s Bay. I’m an optimist at heart so I only see good things going forward for Newfoundland Hard-Rok and the province’s mining industry overall. Q: Although your focus has been mostly on mining, you’ve also run a consulting and investment firm since 1979. Can you talk about the challenges of running an investment company in Newfoundland? A: I don’t think it’s much different than running an investment company in any other part of the country. I founded Sealan Capital in 1979 to handle my own investments and the company has grown since then. Most of the investments are private, so I can’t say much about them, but I certainly do not have any unhappy clients. I think that’s partly due to my attitude about running a business. I never take things for granted, so I’m always thinking about how the businesses are conforming with sound business practices in every aspect of our operations. Q: You’ve been involved in the Cascabel gold-copper project in Ecuador for many years through your association with Cornerstone Capital, a company you co-founded. You have floated the idea that Cascabel could be bought out by one of the gold majors before it even begins production. Will that be good for the company or would you like to see Cornerstone continue to explore and mine Cascabel? A: As a Cornerstone Capital shareholder, I’m hoping that company executives are thinking about ways to build and extract value. If that means selling the Cascabel discovery to a larger player in the mining industry, then I would support that decision. The mining industry is expensive and requires large amounts of cash to bring any mine to the production phase. So far, drill testing results at Cascabel look promising and that’s a good sign, no matter who ends up running the mine. But gold prices have been range-bound for the past couple of years and it may require a sharp uptick in bullion prices to build a fire under the gold mining industry. Of course, Cascabel is a copper gold porphyry deposit so the price of copper is key also. Recently copper was near the high of the five-year copper spot price but its suffered like most commodities recently. When prices drop for an extended period, exploration and development decreases and this eventually results in lower production. When the markets pick up, then demand exceeds supply and prices rise. However, I view the current weak prices in the metals industry as a temporary lull in a lengthy bull market. Q: You’ve been quoted as saying: “The harder I work, the luckier I get.” But anyone can work hard — it requires more than that to be successful. Having said that, how do you measure success? What drives you to keep going when it seems you’ve already had your fair share of success? A: I wouldn’t say I’m slowing down, but I am not as interested in pursuing new business ideas as I was 20 years ago. Still, new ideas are valued at Newfoundland Hard-Rok and the other companies I am involved with. Ideas of merit that come from anyone in the companies are considered by the senior management team. As an entrepreneur, I defined success in the usual ways and that often had to do with financial success. But I sometimes sacrificed personal growth, though my family was always a priority. In life and business, it’s important to stop and smell the roses. Take time to appreciate what you have accomplished and the gifts that life presents. I believe it’s one sure way to gain a better perspective on both life and business.